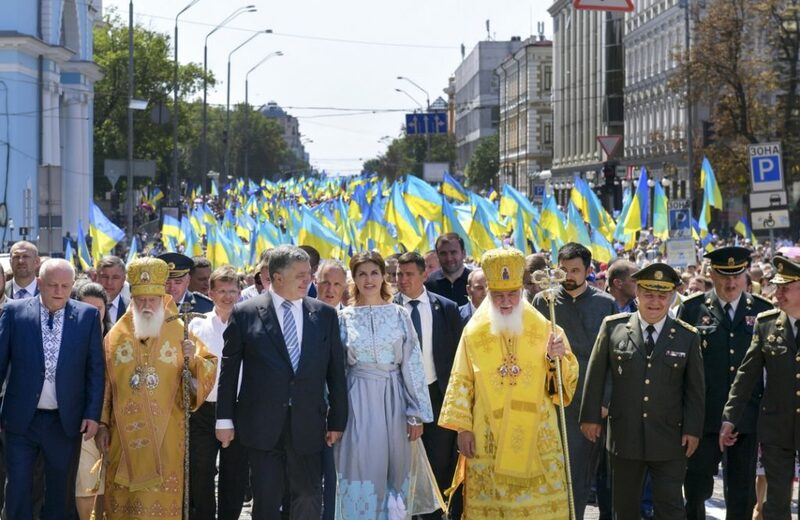 Head of the Ukrainian Orthodox Church of the Kyiv Patriarchate Filaret, Ukrainian President Petro Poroshenko, his wife, Maryna Poroshenko (C) take part in a march during religious processions marking the 1030th anniversary of the Day of Baptism of Kyivan Rus,on July 28 in Kyiv. 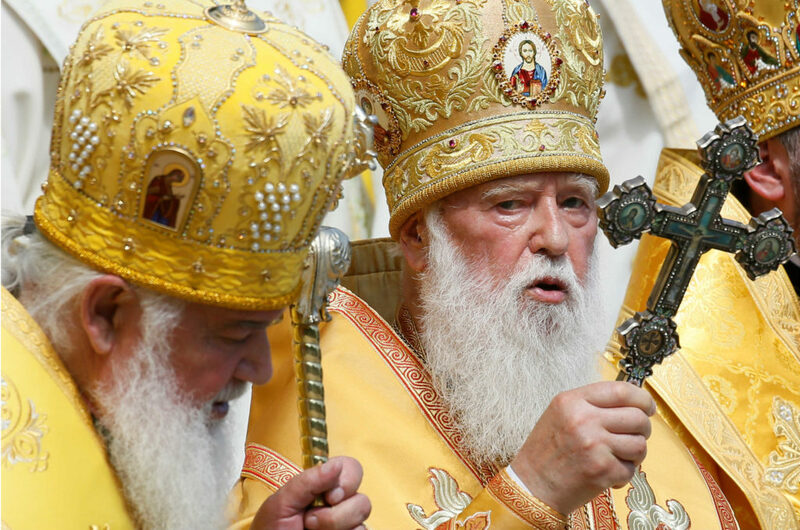 Since 2014, Russia’s soft power in Ukraine has collapsed. Only one percent of young Ukrainians support the Russian model of development while 69-71 percent of Ukrainians oppose it, including 56 percent of Russian speakers. This is an outgrowth of Russia associated in the eyes of Ukrainians with “aggression” (66 percent), “cruelty” (57 percent), and “dictatorship” (57 percent).